The International Trade Commission ruled unanimously today that solar manufacturers were being injured by cheap foreign imports, moving the issue to President Trump to determine tariffs. While the White House did not indicate what specific steps it might take, it said: "The U.S. solar manufacturing sector contributes to our energy security and economic prosperity. ... Today the International Trade Commission determined that the U.S. solar industry has been injured by imports....The President will examine the facts and make a determination that reflects the best interests of the United States." Suniva, the bankrupt solar panel manufacturer that brought the case to the ITC, said in a statement: "Suniva is gratified that the ITC has found that a surge of imports into the U.S. has decimated the America CSPV cell and module manufacturing industry...President Trump can remedy this injury with relief that ensures U.S. energy dominance." 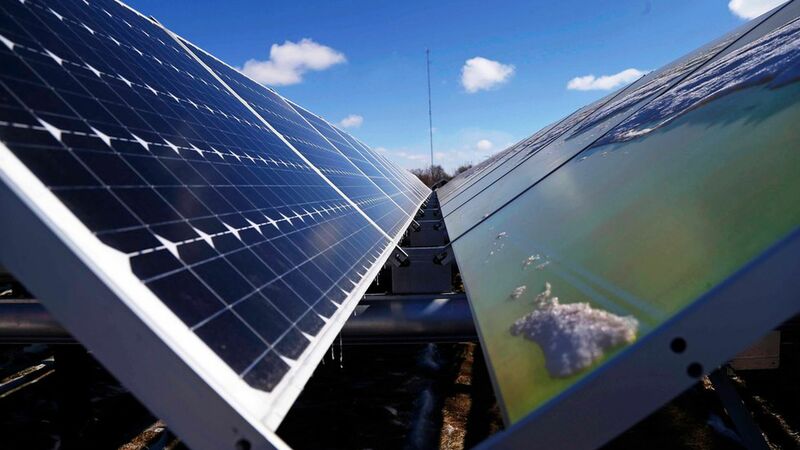 ClearView Energy Partners said: "We continue to believe that President Trump supports remedies that could increase costs for solar providers over the next four years." The Solar Energy Industries Association said in a statement: "The ITC's decision is disappointing...While we continue to believe that this is the wrong decision...we respect the commission's vote and we will continue to lead the effort to protect the solar industry from damaging trade relief." Go deeper: Axios' Ben Geman quoted Moody's Investing Service this morning: "The imposition of tariffs would...likely affect the pace of decarbonization in the U.S. by delaying investments in solar generation and, in turn, extending the life of some coal plants."